Have a cigar during the 7th inning stretch! 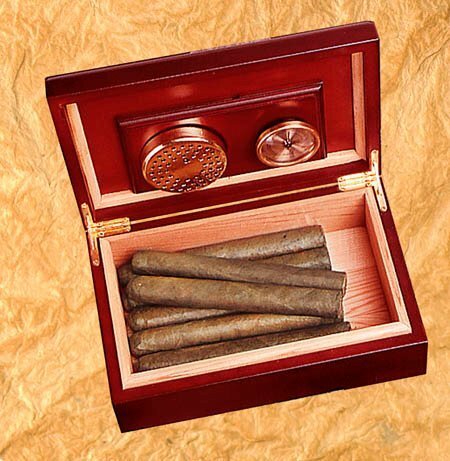 Make sure to grab a fresh one out of a Dugout Pub Humidor. This quality piece is printed in full color and makes a great personalized gift for any cigar enthusiast. 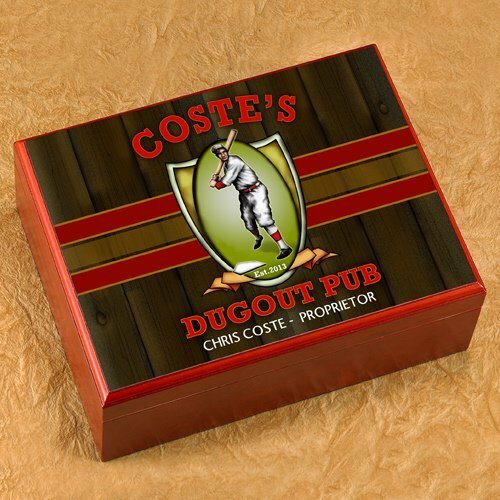 Humidor measures 9-1/2" by 3-5/8" by 7" and is personalized with first name and last name of the proprietor plus the year this Dugout Bar was established. Consider giving it as an executive gift or in recognition of retirement.